"Mithila Palkar (मिताली पालकर)" who hit the fame last year with her Marathi cup song "Hi Chaal Turu Turu" (originally sung by Jaywant Kulkarni) and later on she became more popular with web series 'Girl in the City' and 'Maharashtra Desha' video song with Gandhaar will be seen in an upcoming Marathi movie titled "Muramba" as 'Indu', she is starring opposite "Amey Wagh" as his love interest. 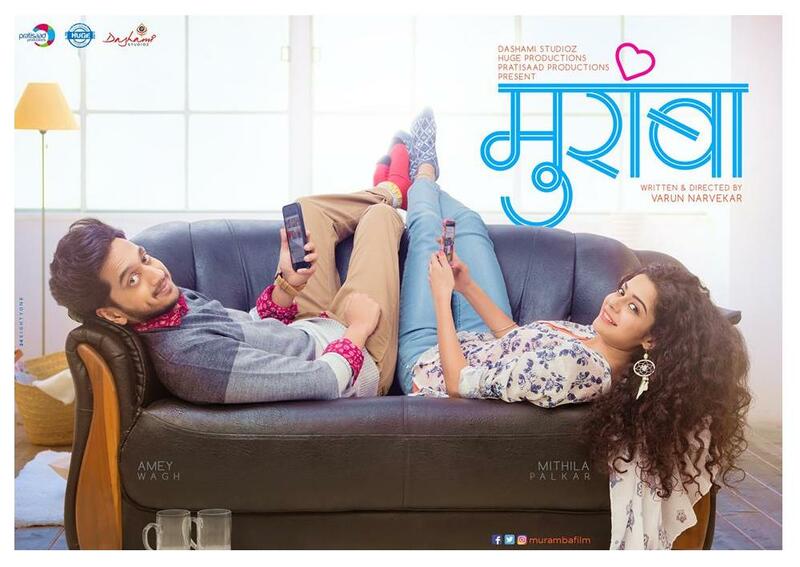 The movie is directed by debutant director "Varun Narvekar" and produce by Ranjit Gugle, Anish Joag, Nitin Vaidya and Aparna Padgaonkar. The movie will be releasing in coming summer.